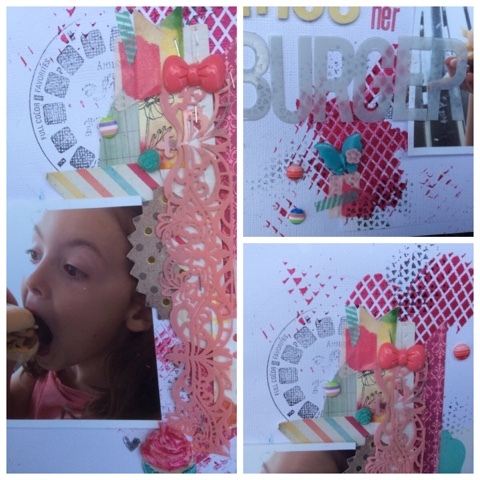 scrappinwithjanet.. : Show Us Your Stuff April Challenge - Stamping! sponsored by StampinUp! 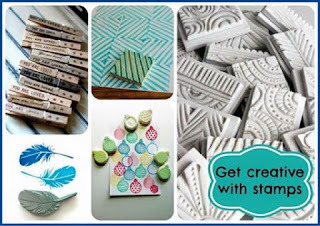 Show Us Your Stuff April Challenge - Stamping! sponsored by StampinUp! Ahhh stamping .. its something I don't do much or have many of. I figured out early in my scrapbooking life that I was not a stamper. I've tried workshops, classes, YouTube clips to try and help me out - most to no avail. I'm a paper, paint and texture fan for sure. The sponsor for this month is DeeZigner Papercraft is very generously donating a $30 Stampin' Up! gift voucher for our lucky winner! So it wasnt much of a surprise that the SUYS challenge for this month was about using your stamps, I didn't really have many to choose from. I made the most of what I did have however and used them to compliment the background in small details and used my viewmaster acrylic stamp in a few spots too. LIttle known fact about me. I like fries on my burgers. It seems that my daughter does also. This was one of the very few times that she has had a burger from the Golden Arches and did just as mummy does - opened it up, took out the pickles and inserted her fries. Yep, shes definetely a mini-me. Cupcake and base which were initially white but I then painted them in Colourblast Texture Paste in Lipstick and Teal. And resin dots are scattered around the page. All paper items were out of my scraps boxes. Background was done using the triangle stencil and Colourblast texture paste in lipstick. I then used the kaisercraft triangle stencil in black stazon ink for added definition. The viewmaster stamp was added on the side, under the title and ended up being hidden under the image. The title is recoloured thickers, alpha stickers and HS ghost letters. So now you have see mine, let me see yours. Go and create your work of art in whatever form you like (it doesn't have to be a layout!) and upload it to the SUYS blog! Enjoy you month and thanks for stopping by!